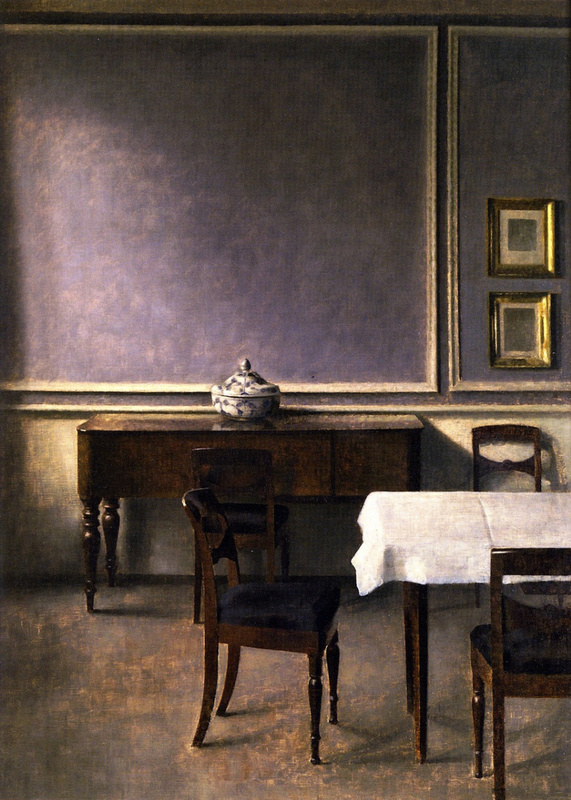 Vilhelm Hammershøi (15 May 1864, Copenhagen — 13 February 1916, Copenhagen) was a Danish painter known for his poetic, melancholic and implicit interiors, in which light and time appear motionless. 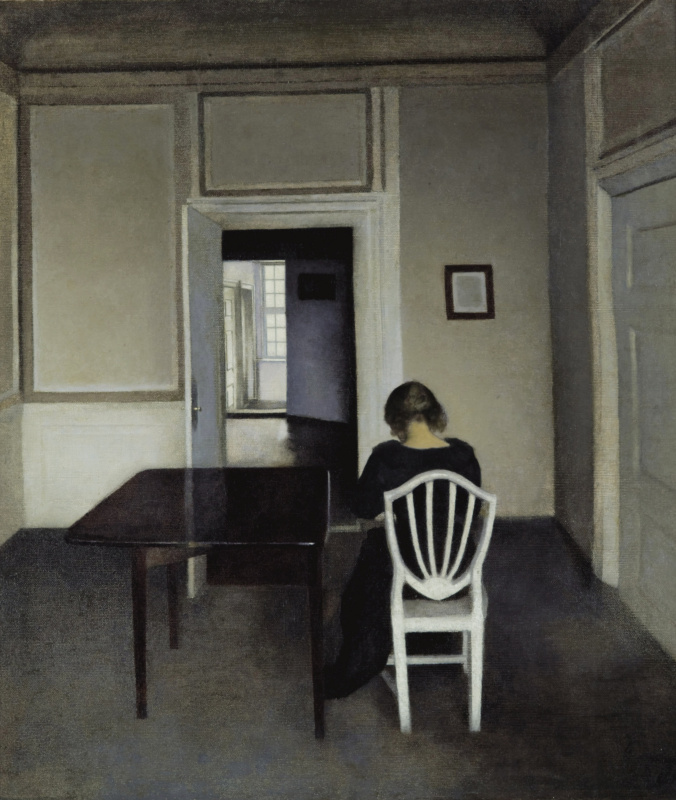 Due to the artist’s use of composition, light, and perspective he was dubbed "the Danish Vermeer." 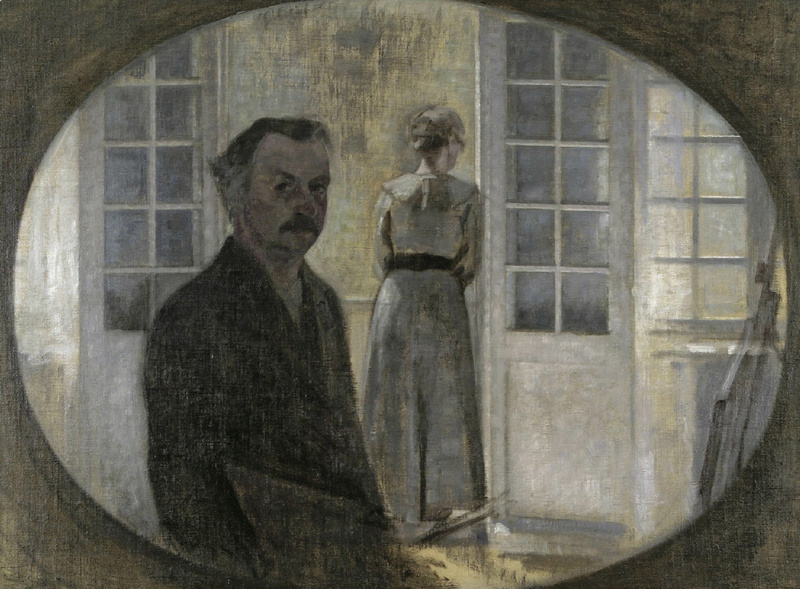 The most famous works of the Danish artist depict light-filled half-empty rooms, containing isolated (usually female) figures that have their backs turned to the viewer. His palette is dominated by the muted shades of grey, blue, white, pale yellow, brown and black. He also created a series of desolate landscapes, which, however, are less valued. 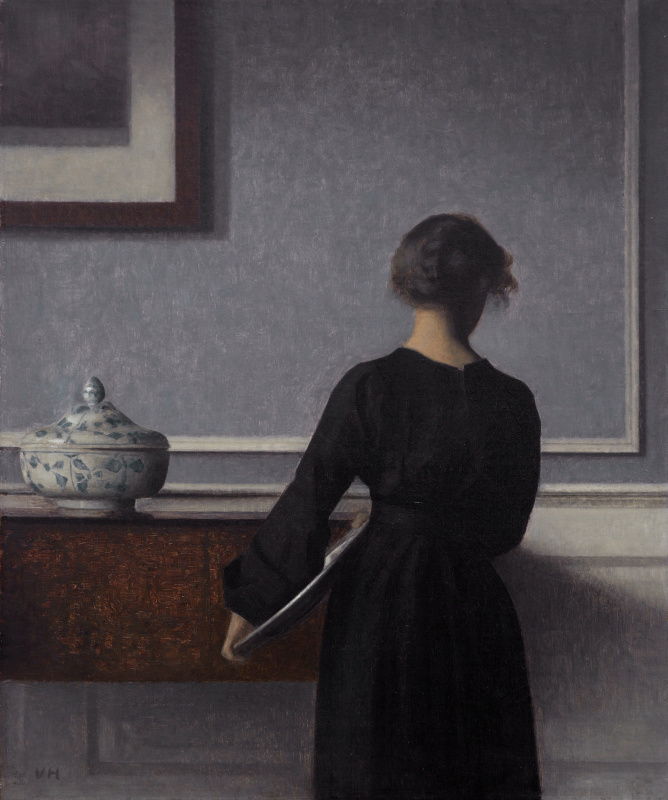 Hammershøi is considered a symbolist, whose work is open to interpretation. 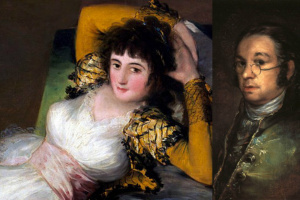 However, there is equal argument for suggesting that he was simply interested in portraying beauty in the ordinary, rather than making any complex statements. 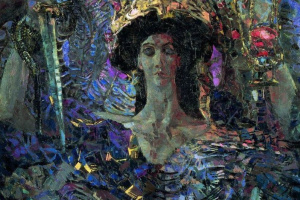 In his work, the artist focused on light and its reflection on different surfaces. 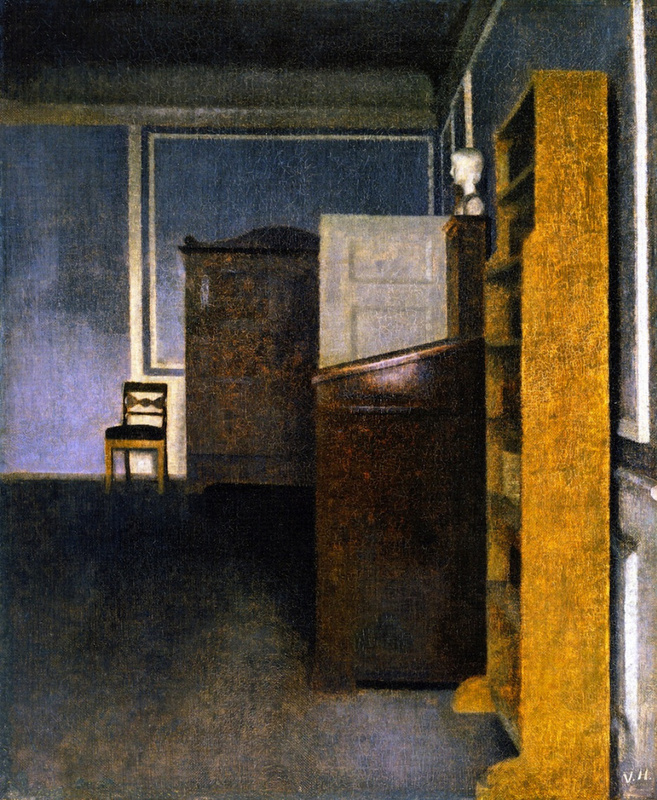 Famous paintings by Vilhelm Hammershøi. Ida Reading a Letter, Interior with Ida Playing the Piano, Interior with Woman at Piano, Strandgade 30, Interior with Two Candles. 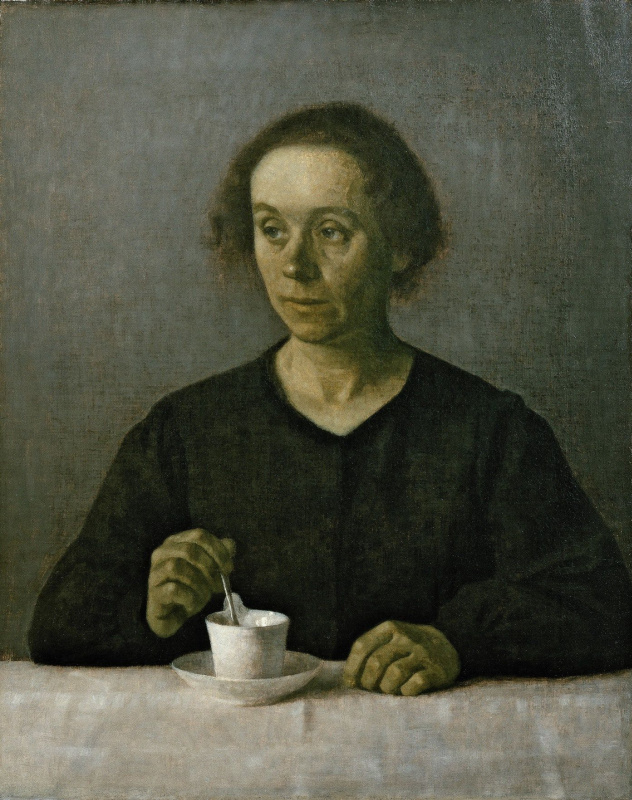 Vilhelm Hammershøi's life, like his paintings, can be called a symphony in grey. It wasn’t full of bright colours, lively scenes and unpredictable plots. He studied. Got married. Painted his apartment. Moved into another apartment. Painted that, too. Travelled. No children, no wars, no adventures. No actual reason for all this sucking gloom that funnels his creativity into a narrow trickle. 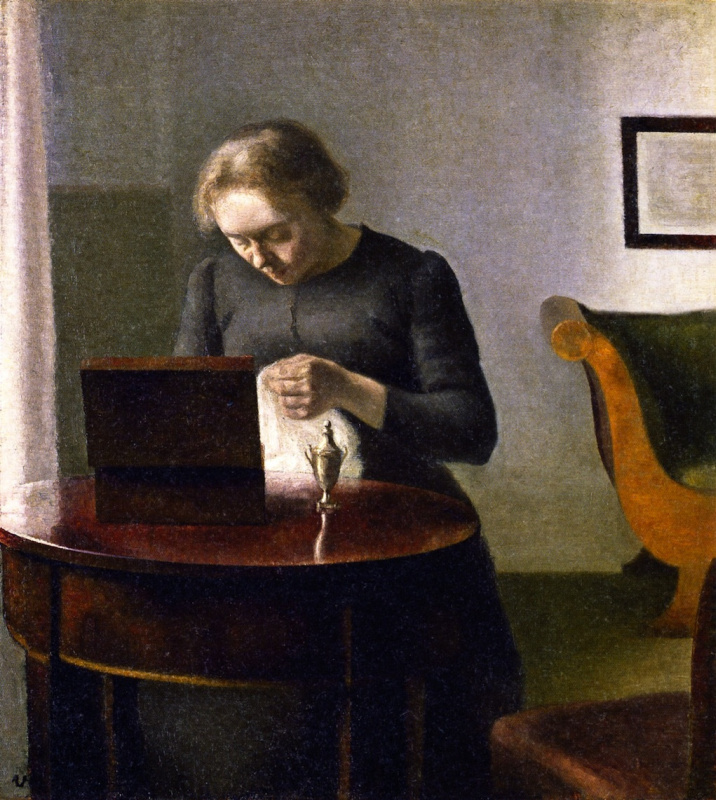 Indifferent to colours, he just looked tiredly at the four walls, endlessly rearranging the same prop: his sofa, wardrobe, piano, vase and wife. The resulting emptinesses are too mannered and elegant to be real. If art deco had done depression, it would probably have done it his way. 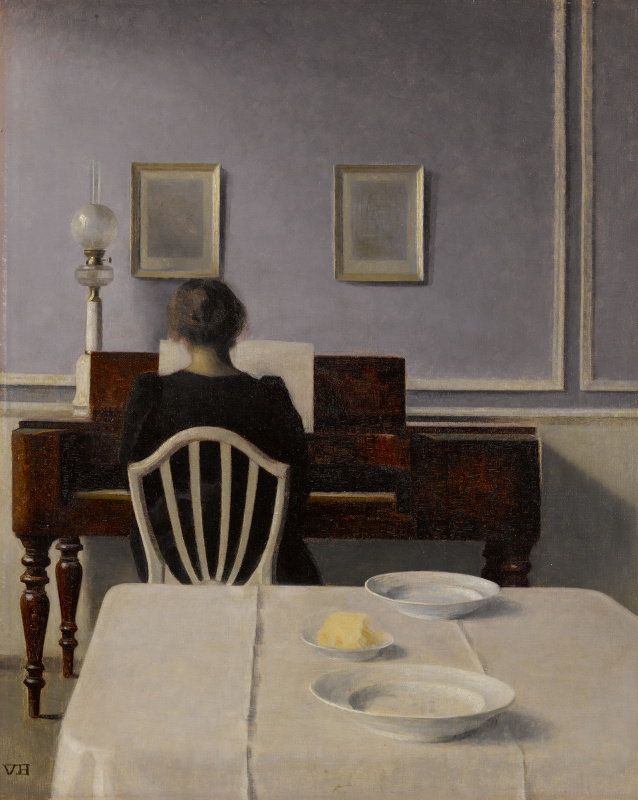 Vilhelm Hammershøi was born in 1864 in Copenhagen, Denmark and was the son of a well-to-do merchant, Christian Hammershøi, and his wife, Frederikke Amalie (née Rentzmann). It was his mother who encouraged her child’s talent and started developing his career — the same thing she did to the artist’s younger brother Svend. School with Norwegian-born Danish painter Peder Severin Krøyer. The latter told about his student: "I don’t understand him, but I think he’s going to be important so I’m trying not to influence him." The student remained indifferent to his teacher’s rich colour palette and lively scenes. Hammershøi's impressive debut took place in 1885 at Spring Exhibition at Charlottenborg where Royal Danish Academy of Fine Arts is situated. The 21-year-old artist exhibited Portrait of a Young Girl (his sister Anna). It was already distinguished by the artist’s trademark mute palette — a mixture of hues of grey, black and soft white colours, enhanced with warm tones. One of the founders of Impressionism, Pierre-Auguste Renoir is reported to have admired this painting. And although the style and technique of the young painter were not very different from the generally accepted ones, the psychological intensity of his works in the 1880s was ahead of its time. 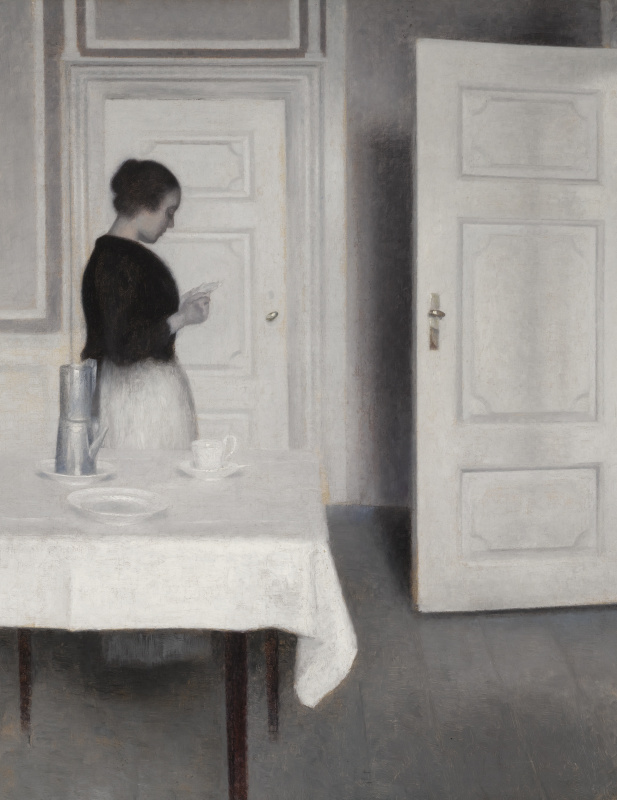 Hammershøi became the "black sheep" of Danish art, who was often misunderstood by his colleagues and critics. Five years later, the exhibition jury of the Royal Danish Academy of Fine Arts rejected another painting — Bedroom. 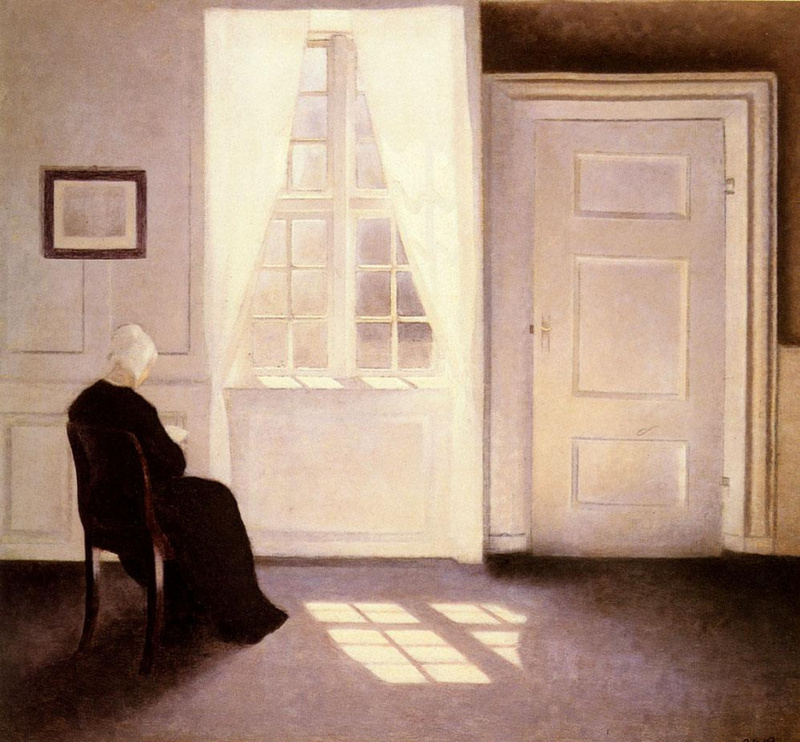 Interior, Woman at the Window, for which the same Anna posed. 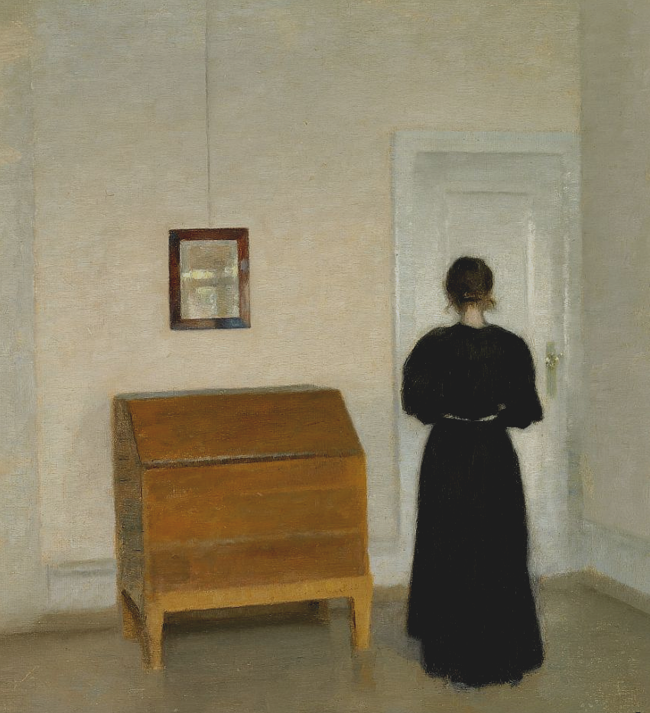 Then Hammershøi, together with other artists, signed a petition for the creation of a new Independent Exhibition, which was set up in 1891. 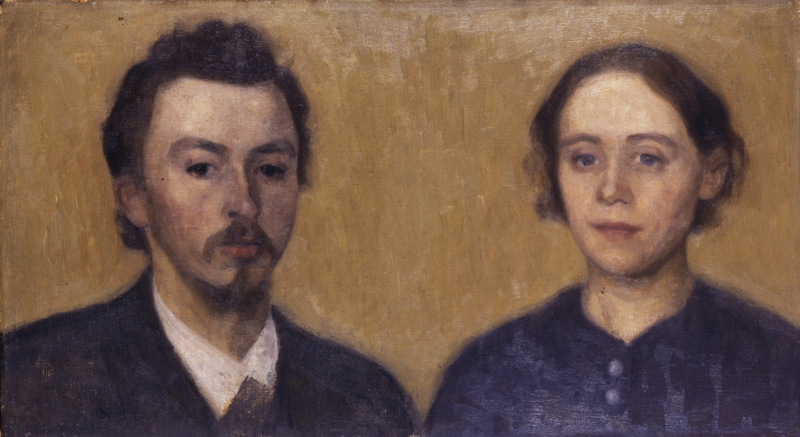 In the same year, the artist married Ida Ilsted, the sister of his friend and colleague. 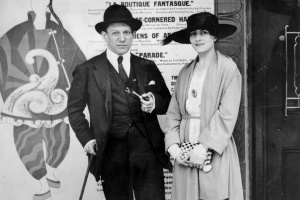 She inspired many of her husband’s future paintings and was a frequent model for his interiors. The Hammershøis lived a relatively quiet life, had no children, but traveled together throughout Europe, including Paris, Berlin and London. Later, the couple moved into the old house at Strandgade 30, Copenhagen. The artist painted the interior of this house with strangely arranged furniture more than 60 times. 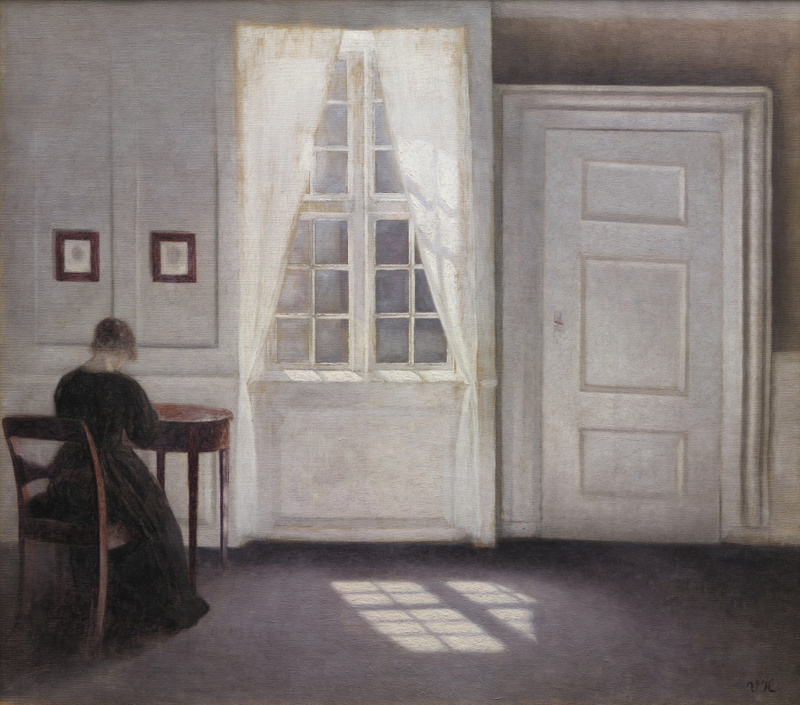 Many believe that Hammershøi led a secluded life and didn’t really care about the world of art. 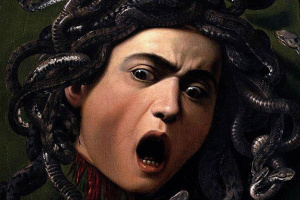 However, Kasper Monrad, senior research curator at the Statens Museum for Kunst (National Gallery of Denmark) says that this interpretation is incorrect. It is based on the few strikingly impersonal letters of the artist, which resemble formal messages and contain little information about his work. In fact, Hammershøi tried to meet the painter James Abbott McNeill Whistler during his trip to London. The American Post-Impressionist, like the Dane, used a restrained palette, and his paintings sometimes look monochromatic. 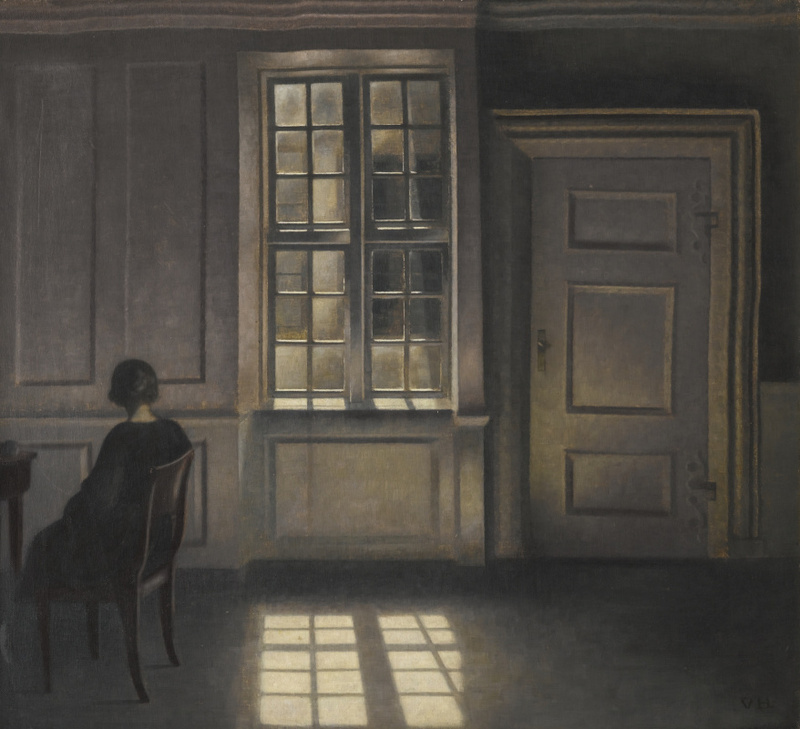 Moreover, many of Hammershøi's friends led an active artistic life and some of them wrote in their letters about visiting exhibitions together with the artist. So he was fully aware of the new world trends. 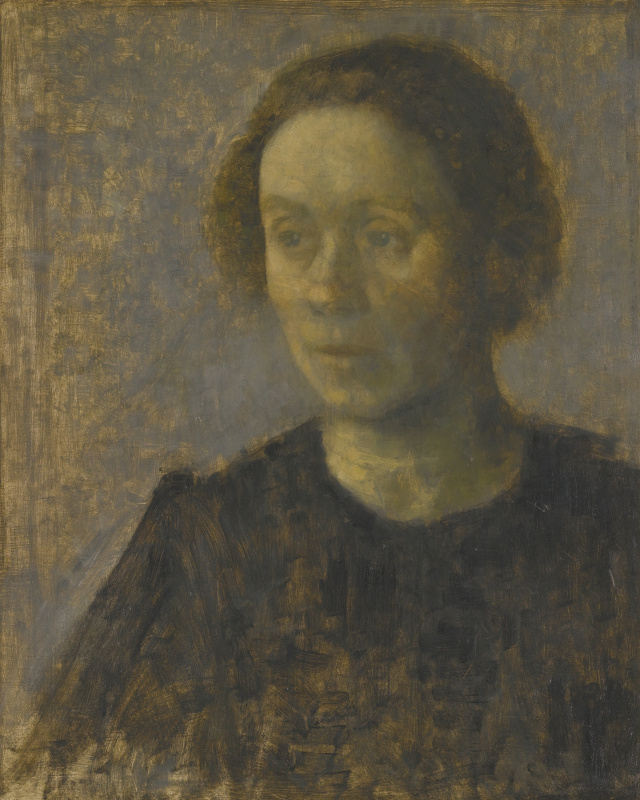 Vilhelm Hammershøi was the same age as Toulouse-Lautrec, 11 years younger than van Gogh, 25 years younger than Cézanne and only 5 years older than Matisse. 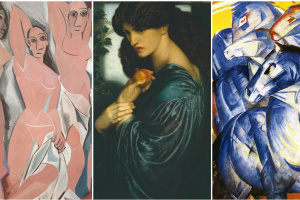 But he was not interested in the bright colours of modernism, his art existed in a parallel world with a different chronology. All he seems to have wanted is to become a new Vermeer. 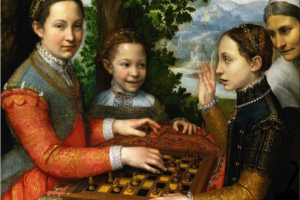 The Dane drew inspiration from the Dutch Realist painters, including Jan Steen, Adriaen van Ostade and Pieter de Hooch. 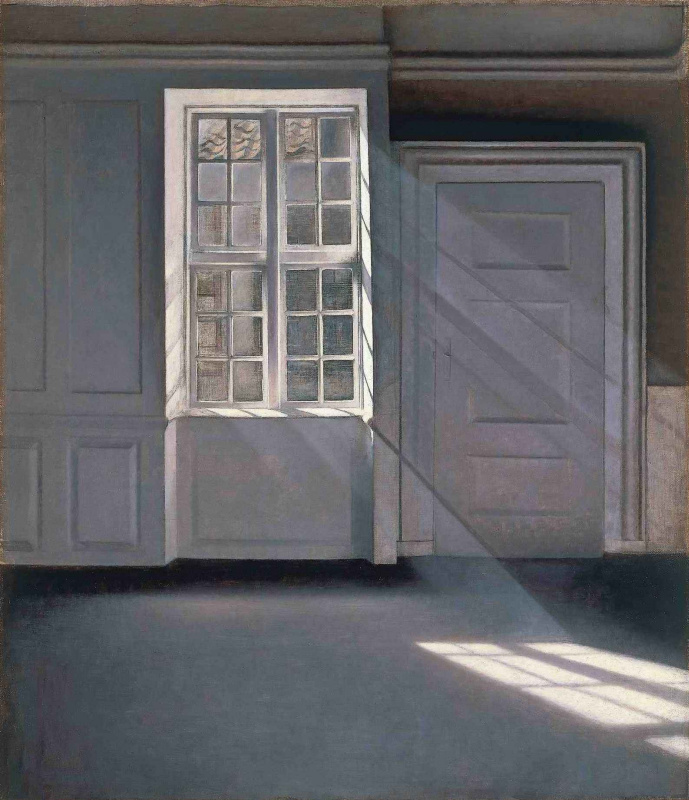 Like the latter, Hammershøi was obsessed with empty rooms and light effects shining through windows. He enjoyed using doors, both part opened, leading to other spaces, and closed, hiding something from the viewer. 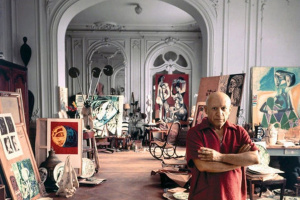 The artist created only a few paintings a year — he was a slow worker, meticulous with details, tones and light effects. In one of the only two interviews the artist appears to have given, he admitted, "I don’t paint quickly. I am rather long about it." The stillness in his paintings depicting a woman reading a letter is reminiscent of the one in Woman Reading a Letter by Jan Vermeer. At the same time, the formulated palette of greys, blues and black reminds of Whistler’s Nocturnes (1, 2, 3,). 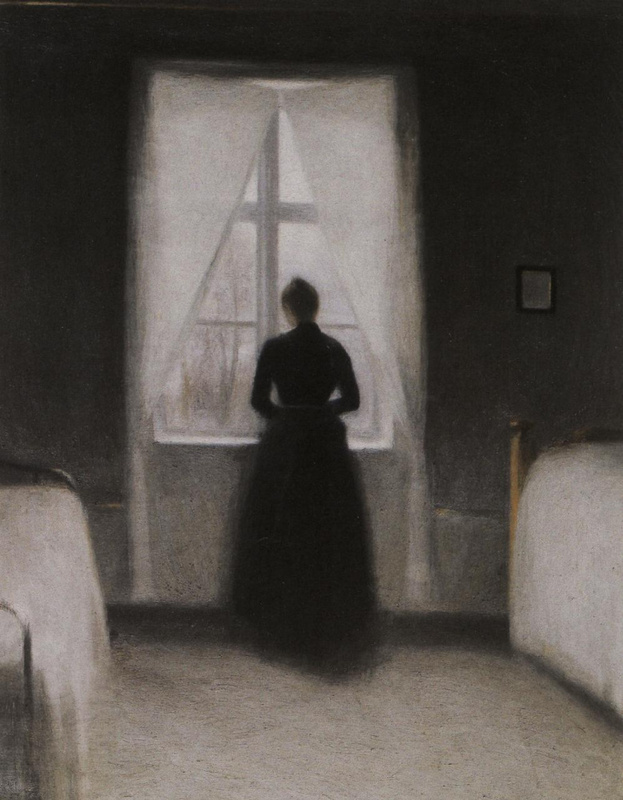 What sets Hammershøi's interiors apart from other traditional artists is that when they painted a figure alone, the scene was narrative. 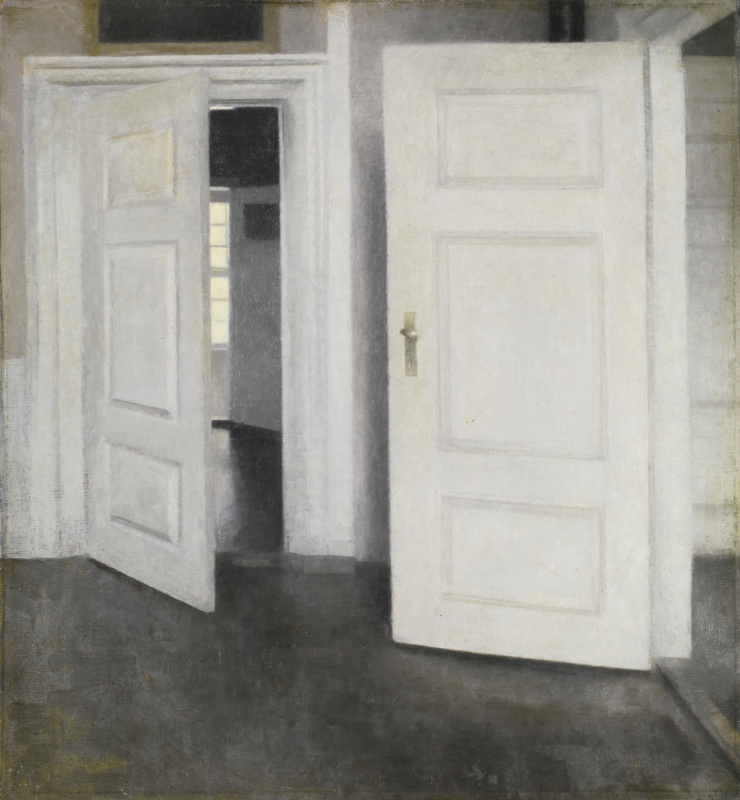 Hammershøi aimed simply to depict the effect of light on the room and the figure within it. 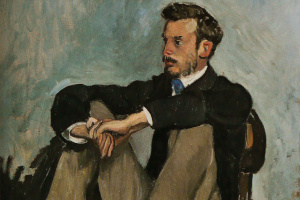 Some art critics consider the painter a Symbolist, but biographers believe that his paintings have no spiritual or transcendental significance. 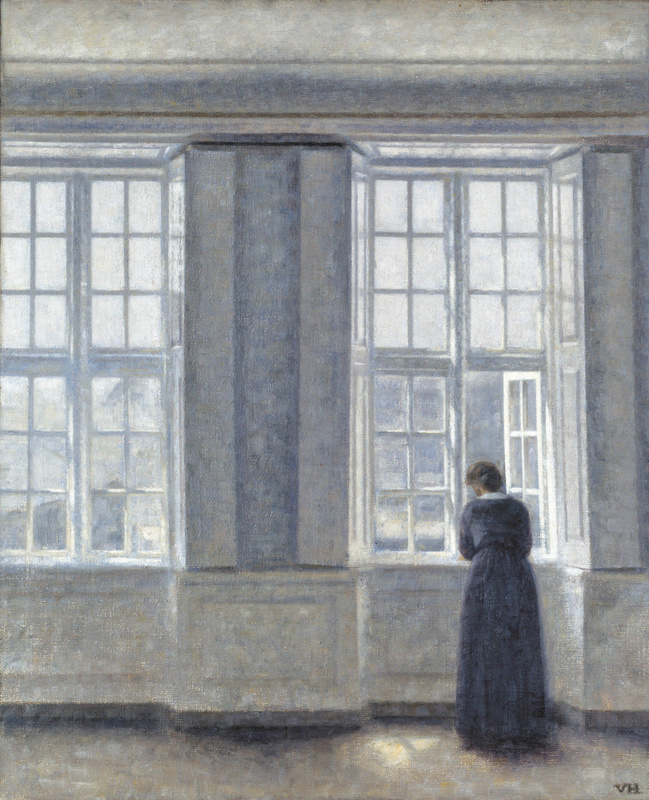 Many connoisseurs of art compare Hammershøi's paintings to those of Edward Hopper. However, there is no evidence that the American artist saw any works of his Danish colleague. In Denmark itself, several painters followed the footsteps of the famous artist and tried to copy his style, but no one managed to excel him. 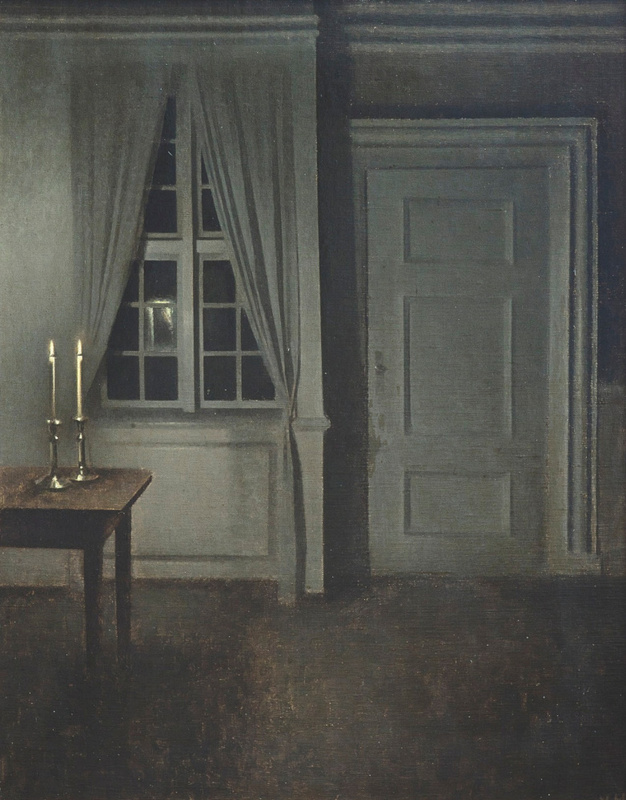 Sure enough, Hammershøi's interiors are something mysterious, and perhaps this is what made him popular. Despite being anti-modernist, he still appeals to the world of Art Nouveau, even if he can’t be considered a Symbolist or an Existentialist. After the artist died in 1916 of a throat cancer, he was almost forgotten, for his paintings weren’t in line with the spirit of progress preached by the modernists. It was only when a couple of world wars caused the hunger for the new to wear off, and enough distance separated our times from his, that his aggressive regressiveness ceased to matter and he finally took his place among the best genre painters of Scandinavia. 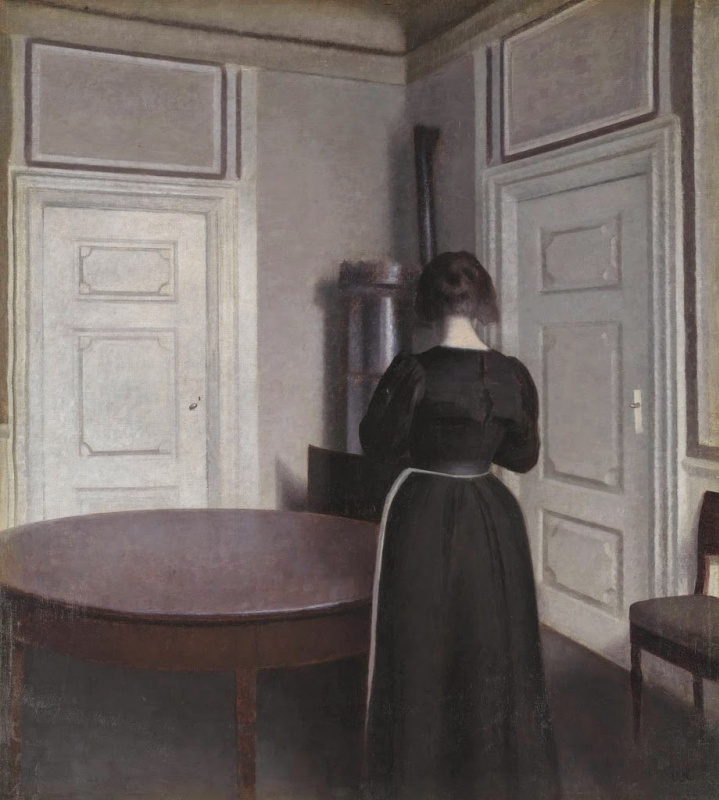 Nowadays, Vilhelm Hammershøi's glory is experiencing something resembling renaissance. His paintings become part of the collections of Denmark’s National Museum in Copenhagen, the Metropolitan Museum of Art in New York, the Musée d’Orsay in Paris, the Tate Gallery in London, the National Gallery of Canada and other prestigious institutions. 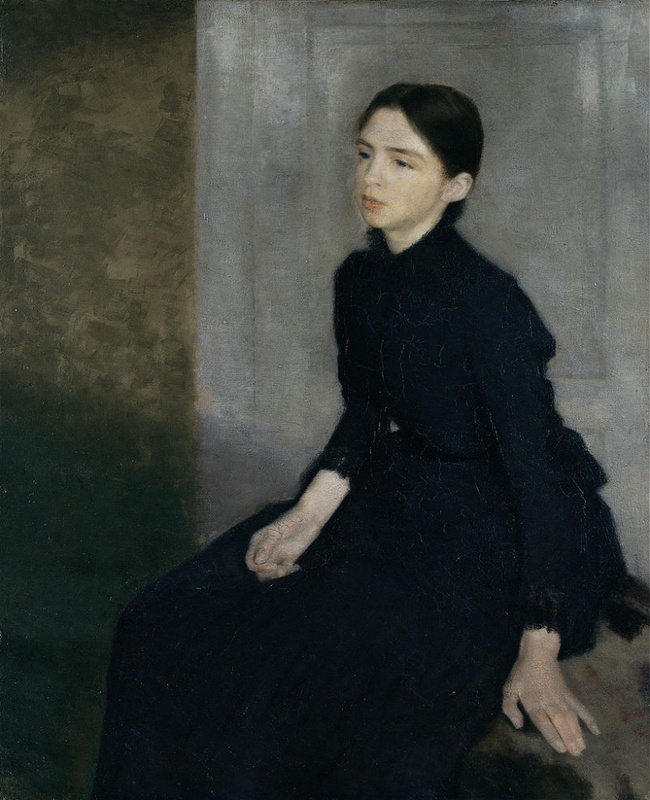 In 2012, the painting Ida Reading a Letter was sold at Sotheby’s London for £1.7 million ($2.7 million). In May 2015, a private collector paid more than £2 million ($3.2 million) for Interior, Strandgade 30 (1904). And two years later, Interior with Woman at Piano, Strandgade 30 was sold for $6.2 million, although the preliminary estimate was almost two times lower.